Android: Netrunner is the Win Condition Game of the Month for January 2017. In addition to spotlighting the game, running demos, and hosting special events, WCG is offering 10% off any Netrunner purchase. It makes now the perfect time to stock up on Data Packs, or finally give Netrunner a try with a cheap Core Set. For our first ever Game of the Month, we knew we had to pick something big. Luckily, Android: Netrunner fits the bill perfectly. Originally designed in 1996 by Richard Garfield (yep, the same guy that designed Magic), Netrunner was relaunched as a Living Card Game in 2012 with updated mechanics and top-notch production values. Netrunner has always been considered one of the best designed games of all time. And now, since it is the WCG game of the month, now is your best time to give it a try. 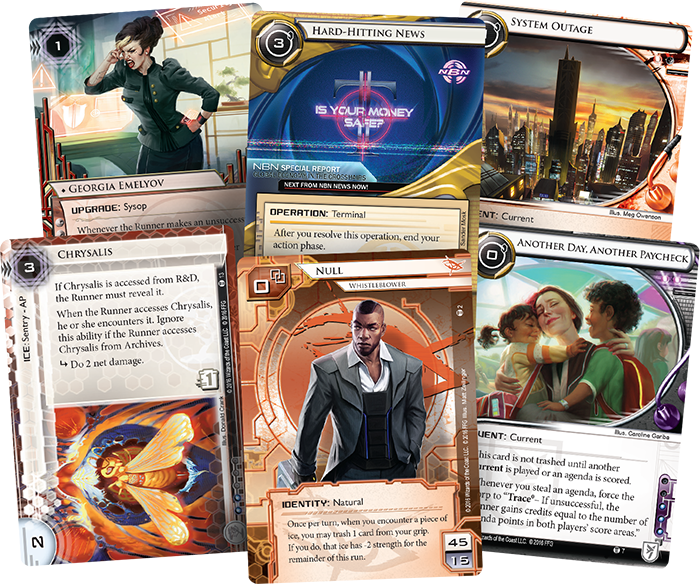 In Netrunner, players bring two decks to the table – one representing the Mega-Corporation trying to take over the world, and one for the Runner who is trying to break into the servers and steal all the secrets. Not only do you have different decks, each side has their own rules, goals, and methods. Each time you play, you’ll have the chance to play as both Runner and Corp. This means you’ll constantly be switching your mindset, and facing new challenges. They way you get cards in a Living Card Game (LCG) is a little different than what you’re used to in games like Magic and Pokemon. Instead of buying booster packs, with a random selection of cards, LCGs have packs where you know exactly what you’re going to get. A Netrunner Data Pack contains 60 cards (20 unique cards, 3 copies of each), and usually costs about $15. There is no guesswork. You buy the Data Pack, and you get all the cards in it. You don’t have to worry about getting a bunch of random cards you don’t want just for the chance of getting that one rare you’ve been looking for. This format makes it a lot easier for new players to join in and be competitive. They don’t have to drop $20+ on a single rare to get a good card – or keep plopping down $3 per pack and hope to get lucky. $15 for a Netrunner Data Pack gives you full playsets of 20 cards that you can put directly into your decks. 3. You Play the Cards. They Don’t Play You. Magic is a great game. But long-time players know that sometimes it feels like the outcome of a game is decided before you ever sit down at the table. The matchups are the way they are, no amount of play skill will change that. Sometimes it feels like the cards are playing you. Not so in Netrunner. Because the Corp plays most of their cards face-down, bluffing plays an integral role in the game. In addition, every card you play is a tool for you to use – not a defined effect. You are responsible for your choices. Will you spend your credits to break through that piece of ice? Or do you need take a short-term setback in order to play your long game? In Netrunner, you are in charge of the decisions. 4. You Can Play Whatever You Want. Like all games, some cards are better than others. But this problem is much less pronounced in Netrunn than in other games. There are very few cards that just dominate games when they are played – AND there are very few cards that are flat out unplayable. These factors, combined with the impact of player choice in the game means you can play just about anything you want. Netrunner is a deckbuilder’s dream. The cards end up being tools, cogs in a puzzle for you to figure out and present to your opponent. Cards that are initially dismissed as weak routinely pop-up as the keys to a new combo. The games also tend to play out in a way that with card draw, tutoring, and tempo, you can find what you need to make your deck work. Finally, the community makes it possible for you to play your preferred way. One reason is that Netrunner does not have as competitive a scene as games like Magic. This isn’t to say that Netrunner players don’t want to win, or that they don’t take the game seriously. They definitely do. But since there isn’t quite the same level of money on the line, they are more open to playing weird decks. Innovation is prized, and new is valued. 5. 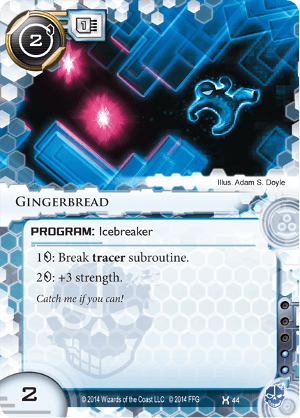 Netrunner Oozes with Flavor. There is no other game that so successfully merges game play and mechanics with story, art, and world-building. 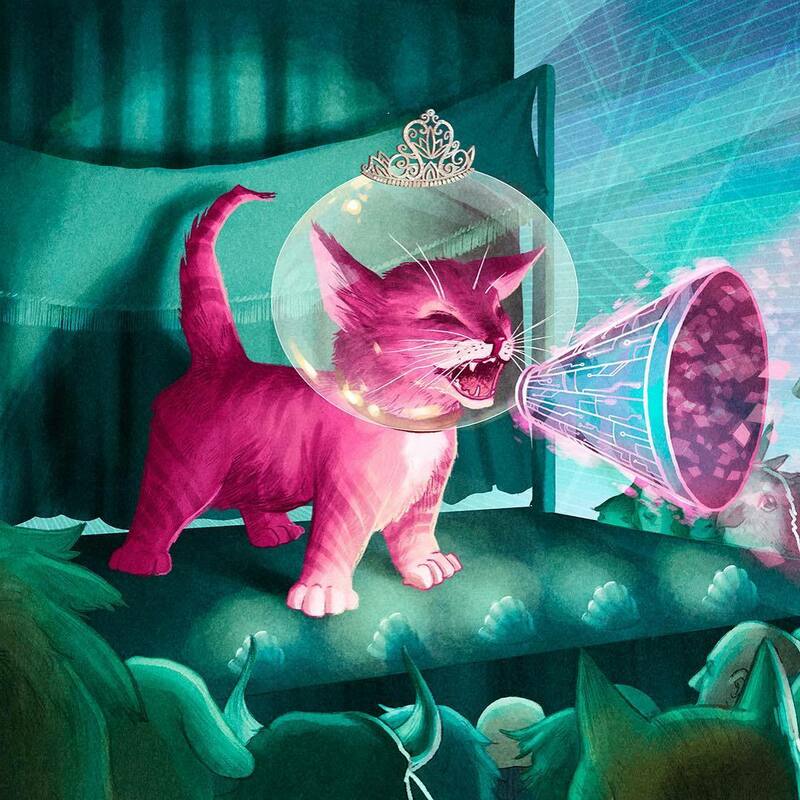 Netrunner’s world is cyber-punk at it’s finest. Playing super-powered mages is pretty sweet, but it’s not quite the same as a pre-teen wundkerkid who hacks into corporate servers through a dinosaur toy just for funsies? Or how about playing as a Corporation who protect their cloning and biotechnology agendas with digital samurais who fry potential hackers’ brains. This barely scratches the surface of the cool character, environments, tools, and story lines that make up the Netrunner universe. But if that’s not good enough, I’ve got three words for you. So Netrunner newbies, what are you waiting for? Come on in to Win Condition Games and start playing the best game to come out in years. Through the month of October, all Netrunner product is 10% off, there really is no excuse not to give it a try today.